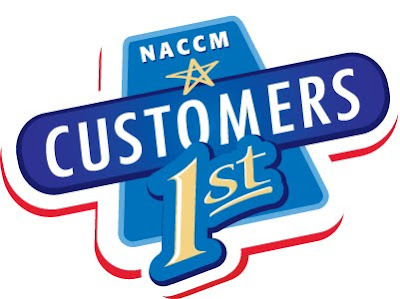 As we get gear up for the 2009 NACCM: Customers 1st Event this year, we're going to be interviewing and getting to know the speakers and sponsors who will bring their perspectives on customer service to you. We recently sat down with KenPowaga, Senior Vice President at GfK Custom Research North America. 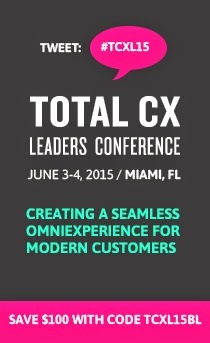 He will be presenting his keynote speech, “Profiting from Customer Churn” at this year's conference. Download the NACCM:Customers 1st Brochure to find out more about the program this year. 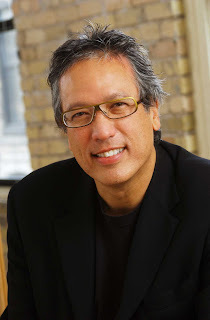 Ken Powaga is the Senior Vice President at GfK Custom Research North America. He joined GfK in 1982 and established a practice to meet the special needs of business-to-business clients. Ken currently is in charge of product development for GfK’s customer loyalty practice. He has broad sales and account management experience establishing long running customer satisfaction programs for clients in the high tech, retail and financial services industries. At NACCM Customers 1st, you’re talking about customer churn, can you elaborate on what that is and how your topic will impact our attendees businesses if applied. Ken: We look at customer churn as the opposite of customer loyalty. When you have loyal customers, you’re continuing to sell to the same customers over and over again and building strong relationships. Churn on the other hand, you’re getting new customers that are replacing a lot of old customers who leave. Today the common belief is that customer churn is a necessary fact of life in the tough business climate that we’re in today. And it seems that most businesses treat customer churn only as a numbers game and believe that if you have more new customers coming in than are leaving, all will be fine. However, it’s not the quantity of the churn you should be concerned with, but the quality. Loss of a single good customer that’s highly profitable may not be compensated by acquiring ten marginally profitable new customers. On the opposite side, not all churn is bad churn. If you lose a lot of marginally profitable customers, and replace them with some strong, high value customers, things will be better. What are some of the most common reasons companies lose customers? Ken: Well, customers come and go for a variety of reasons. Some are controllable and some are not. You may gain customers by luring away them from competition who are satisfied with your competitors. But you may also lose satisfied customers who are lured away by your competitors promises. You may also lose customers from dissatisfaction and your failure to provide them what they expect. But then again, you can gain customers who are dissatisfied with your competitors performance. Another reason that customers leave is because they may not need the products or services in your category. But then again, you may gain some customers because of technology who are totally new to your product and service category. What is the best way to measure customer churn? Ken: With churn, you need to measure both lost and new customers. And it needs to be both objective and quantifiable measures that can be both managed and controlled profitably. The easy way to do it is not necessarily the best. And that is just simply asking some open ended questions of customers who left, and to ask them the reasons why they left. We found that this doesn’t get to the detail required to manage the churn because you receive expected, politically correct answers instead of a clear understanding of the things that cause change. So what you need to do is you need to have clear, objective measurements of customers who are coming and customers who are leaving. You need to measure their profitability and value to you. You need to measure their experiences and attitudes. Then what you need to do is to segment both the new and lost customers into complimentary groups based on the reasons for switching, leaving or adopting your products. These segments would include lost customers who are driven away due to dissatisfaction versus new customers who are gained because competitors drove them away by not meeting their needs. It would also include lost customer lured away by competitors due to price cutting or other perceived product services or advantages. The third category would be those who churn based on industry dynamics. Either customer new to the category or those who left the category for a variety of reasons would be in this category. After you quantify this how can companies use this info to make their business better? Ken: They need to prioritize and fund customer retention and acquisition strategies based on the results. The first strategy is to fix any product or service problems that are driving the most valuable customers away. This will put a finger in the dyke to stop losing valuable customers. The second thing will be to develop win back strategies for valuable customers who were lured away by competition. This may include coming up with new products or figuring out what are the service aspects that customers are leaving to competitors for. Then the third thing you can do is to promote the products and services advantages to the customers who were driven away by your competition. And finally, you need to strengthen and expand programs that you have been successful in luring profitable customers away from your competitors. Laurie Brown at the Examiner recently wrote an article about a recent expreince she had as a traveller. She and her husband had hired a tour guide to show them around a city, and had a wonderful experience until the very end of the trip. The abrupt end to their tour as well as unkind parting with the tour guide left them with a negative feeling about the experience. Are you making sure your customers receive quality customer service from the beginning to the end of the interaction with your company? I think it is especially important in these tight economic times that the customer receives a great experience, from beginning to end, as they can easily find alternatives to your service. What steps are you taking to ensure that this takes place? Michael Tchong will be presenting the keynote speech "I Want to Tweet You Up: What Emerging Customer Trends Mean for Your Business," Wednesday, November 4 at the NACCM: Customers 1st conference in Phoenix, Arizona. Find out more about the conference here and download the conference brochure here. Michael Tchong has spent more than 20 years living at the bleeding edge of consumer technology trends. His uncanny knack for being ahead of the curve has earned him a reputation as one of the savviest thinkers of the information age. A serial entrepreneur, Michael developed a host of successful media and technology companies to help consumers and businesses harness the potential of new technologies. His successes include founding MacWEEK, Atelier Systems (personal communications), CyberAtlas (Internet market research), ICONOCAST (online marketing) and Ubercool, a media and entertainment company targeting trendwatchers and trendsetters. Michael surfs the scene with relentless energy, translating trends to help businesses identify emerging opportunities. He maintains eight blogs, including China Trends and My Lappy, and is currently working on his sixth start-up, which will reinvent the marketing and media worlds. Michael’s a global citizen who sees the big picture from his perch in San Francisco’s Potrero Hill district. A sought-after speaker, Michael has been quoted by, or appeared on, such leading media as Access Hollywood, BBC News, Bloomberg TV, Business Week, CNET, Fast Company, Fox News, UK’s Independent, PBS, The New York Times, Variety, USA Today, The Wall Street Journal and Wired. Biography coutersey of iMedia Connection.